ALESSIO MICOZZI FERRI graduated with a bachelor’s degree in Economics and Social Sciences from Bocconi University in 2014. In summer 2013 took part in the university project “Campus Abroad” in Washington DC (USA), where he attended a course of “International Project Finance” at the prestigious Georgetown University’s McDonough School of Business. 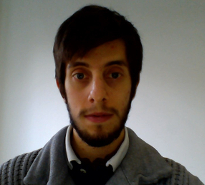 During summer 2014 he had the opportunity to collaborate in the work project “Dai un senso al profitto”, sponsored by CERGAS of Bocconi University, as an intern in research and analysis of the market sector of non-profit organizations at CrowdChicken s.r.l. He joined Action Institute at the beginning of November 2014, where he works mainly in the research department and manages the website. Among his interests: innovation, technology, start-up, non-profit and energy market.